In just over a week, e*thirteen’s latest product will be hitting store shelves. That of course is the new TRS+ dropper seatpost, which was introduced at Eurobike. 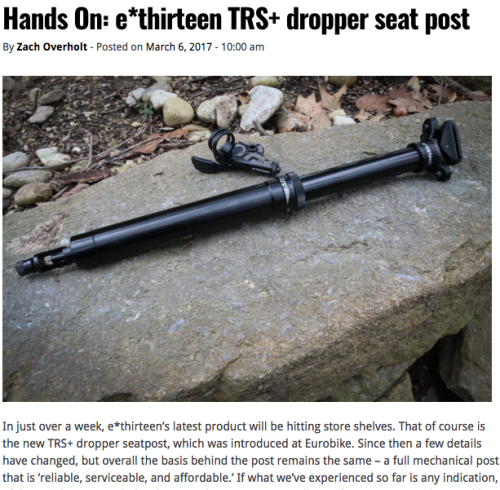 Since then a few details have changed, but overall the basis behind the post remains the same – a full mechanical post that is ‘reliable, serviceable, and affordable.’ If what we’ve experienced so far is any indication, e*thirteen has succeeded with a post that is easy to install, simple to actuate, and seems like it will hold up to a life of abuse.